So there’s nothing the least bit healthy about caramel. I probably don’t have to tell you that. I really like apples dipped in caramel. But all that sugar, butter, and cream. So here’s a dip that isn’t quite the real deal but tastes wonderful nonetheless. 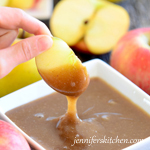 And it can definitely satisfy a caramel apple dip craving any day. Instead of white sugar, I use raw sugar or evaporated cane juice. These sweeteners are a little less refined than white sugar. Instead of cream, I use rice milk (or another non-dairy milk) – less fattening and better for you overall. Omitting the butter altogether means there are no refined fats in this recipe, and the total fat content is lower. I use almond butter for creaminess, and this adds some fiber to the dip as well. 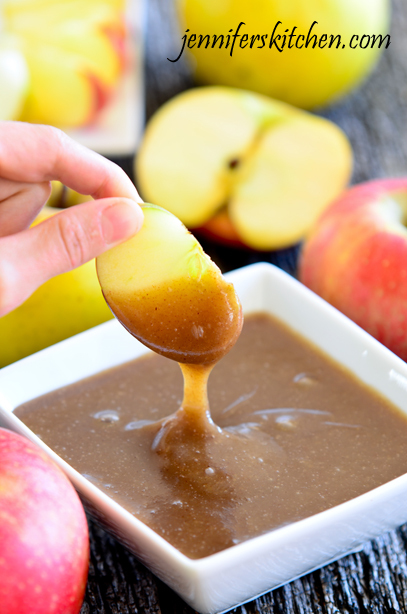 Regular caramel is loaded with white sugar and has absolutely no fiber. This dip is not only lower in sugar, but offers some fiber and nutrition as well. Place milk and almond butter into blender and blend on high speed until very smooth. Pour this mixture into a heavy-bottomed 2- or 3-quart pan, and stir in sugar. Bring to a full, rolling boil, stirring often. I use my heat-proof spatula to stir because it really helps prevent scorching. Reduce heat slightly and, stirring almost constantly, cook at a boil for 3 to 4 minutes if using coconut milk or 9 to 10 minutes if using other non-dairy milk. (Begin timing when the mixture comes to a full boil.) The caramel should begin to take on a somewhat different texture as it nears the end of the cooking time. It will be slightly thicker and a little "stretchy". Again, the mixture will only be a little bit thicker; it will still be very thin and will thicken a lot as it cools. The longer the cooking time the thicker the dip will be. Allow to cool on counter top. It will take a couple of hours to completely cool and thicken. 1. It’s important that the milk be blended with the almond butter on high speed or the almond butter will give a gritty texture to the dip. 2. The molasses is optional, but it makes this dip taste super scrumptious! It is soooooo good! I’m sure you will love it! 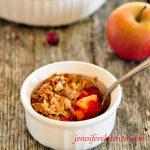 This is the BEST healthy caramel dip I have ever had! Yummy, yummy, yummy!!! I made this caramel apple dip today. It is REALLY good. I think it’s a great (though not identical) substitute to the real thing. One thing I was wondering though, as I was making it, is: What should I be looking for as it boils? How thick should it get? Is it going to thicken as it cools? It turned out great, despite my questions! Thanks for the great recipe. Hi Mom! 🙂 I’m glad you liked it. It will be a very thin mixture as it boils, but just before it’s done it will begin to thicken very slightly and will get a little bit of a stretchy-gooey texture (especially around the sides of the pan). But just a little bit. It will thicken the rest of the way as it cools. 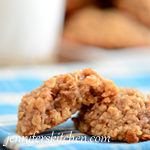 I tested it with different milk varieties and each one thickened differently, but it tasted good no matter if it was gooey, gooeyer, or really thick and gooey! Sounds like a great caramel sub! Can’t wait to try this out. Hi! I really want to try this out, but is there any possibility that regular cow’s milk could work? I’ve got all the other ingredients at home, besides the non-dairy milk..
Ok, it works perfectly with cow’s milk! yum!! Thank you for testing it for us Isabella! : ) Now we know it works with cow’s milk. Your dipping sauce looks delicious – and I bet it is! It is very good. 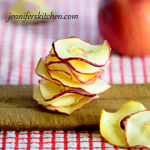 It tastes great on apples or nuts or over ice cream or cookies. I hope you like it. I just wanted to thank you so very much for this recipe!!! I used almond milk, almond cashew butter and coconut sugar, it came out really amazing and I am so excited to use it in my Christmas baking! Mmmmm! That sounds like a fabulously delicious combination, Nicole. Thanks for sharing. Do you think this will work for caramel apples? Great question. Unfortunately, it doesn’t harden up enough to use for caramel apples. We stick to using it as a dip.